.A while ago I did a storytelling at Sunday School. The topic – Abigail. I will confess that I wasn’t sure who Abigail was nor what important role she had played in the Bible. For some who were like me or you need a refresher, here is a shortened version of the plot. You can read the entire story at 1 Samuel 25. David and his men (600 of them) were out in the desert and while out there they helped protect a rich man’s (Nabal) sheep and shepherds. At the time of shearing, Nabal held a big party. David sent a couple of his men to ask if they could have some food for his men because they had helped save the shepherds from any harm. Nabal was a very evil man and rudely said, “NO”. When David heard this answer he declared war on Nabal and his people. However – here is where the story takes a turn. Nabal’s wife, Abigail, heard that her people were in trouble. 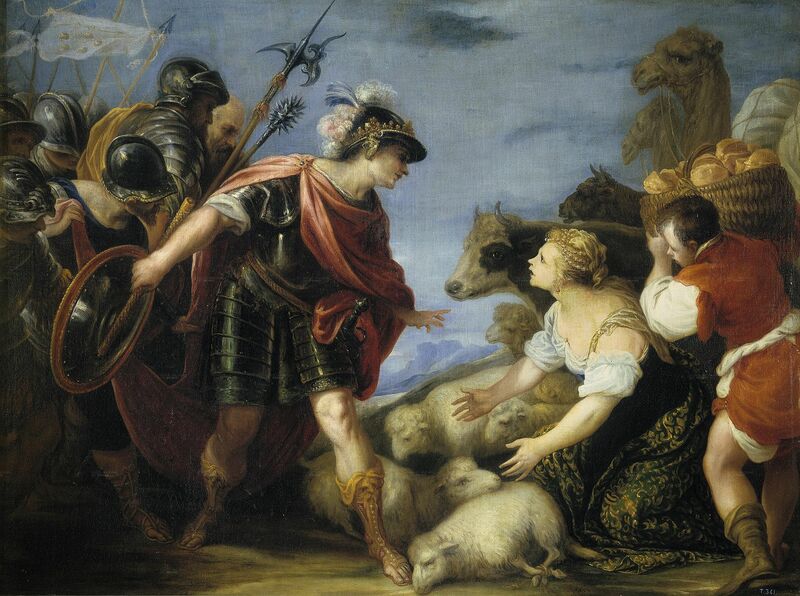 to go out and meet David and his men and plead for her people. Upon meeting David, she bowed down, offered gifts, and took the blame upon herself and asked forgiveness. “Praise be to the Lord, the God of Israel, who has sent you today to meet me. May you be blessed for your good judgment and for keeping me from bloodshed this day and from avenging myself with my own hands” (1 Samuel 25:32-33, NIV). How often do you need to remain calm and seek the peace of those around you? We need to be there for each other. Learning to keep peace when everything is going amok is hard. But with God anything is possible. Even in our own hearts we must endeavour to calm the tidal waves and seek the God of peace. I like the way Abigail made a decision. We took must make decisions every moment of the day. Do we stay with God or move with our own righteous attitudes and selfishness. Do you have stories of keeping the peace? Please write them in the comment section below or on Lisa’s Facebook page. Making the decision to move toward peace pleases God. Great encouragement for me today! Thanks, Janis! She was a gutsy lady and a great example of Godly wisdom in action! This is a great reminder that peacemakers need to be courageous as well as Spirit led to be effective. Thanks, Janis! We are urged to contend for our faith, Jude 3, so being gutsy sometimes is a wise choice to broker conciliation and peace.